Possessing an uncanny lifeline to public consciousness at a particular moment in time, Andy Warhol's Mao tapped into the historic easing of relations between the United States and China in 1972. Richard Nixon's "ice-breaking" visit to the communist nation in February of that year, in what the President termed "the week that changed the world," amounted to a diplomatic and public relations coup in Cold War history and was widely touted by the media. Awash in images of an unfamiliar China, the American public became quickly accustomed with the visage of Chairman Mao Tse-Tung. Mining the myth surrounding the man synonymous with absolute political and cultural power, Warhol's choice of subject was nothing short of brilliant. 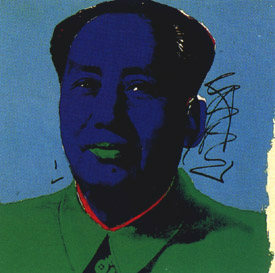 Mao comprised Warhol's first major critically and commercially successful series following his premature "retirement" from painting in 1965 for the sole pursuit of film. Following his near fatal shooting in June 1968, the artist began to rethink the direction of his creative energies, and returned to fine art, executing commissioned society portraits in the early 1970s. Mao marked a significant turning point in the artist's career, recuperating many of Warhol's concerns and techniques as a Pop artist in the 1960s, and inaugurating a fertile period of renewed vision in the artist's oeuvre. By the early 1970s, thanks to the deliberate cult of personality enforced by Mao, the image of the Chairman was the most reproduced in the world and in history. Warhol's gleeful love affair with all things famous made Mao a captivating figure for his art. His dealer, Bruno Bischofberger, had suggested that he create a series of portraits based on a famous figure, and originally offered Albert Einstein as a possible subject. Warhol opted instead for Mao as a larger than life figurehead. His choice was in fact inspired by a recent cover of Vogue Magazine illustrated by Salvador Dali. It showed a morphed image of Marilyn Monroe and Chairman Mao as one face. Warhol viewed Dali, who shared his commercial and artistic flamboyance, as one of his peers. It is likely that Dali's choice of Marilyn, which echoed Warhol's own fascination for the screen goddess, brought Mao further into Warhol's focus as a new icon. Committed to mining popular culture for his iconography, Warhol moved seamlessly from his earlier portraits of celebrities to that of a political figure and authoritarian ruler. In doing so, he indirectly but incisively exposed the power of mass media in the creation, canonization and commodification of personas for the purpose of collective absorption. While his simplified, logo-like representation and repetition of glamorous stars reflect the consumerist ethos of American capitalism and the advertising and publicity machinations that underpinned it, Warhol's Mao reveals the centrally controlled propaganda apparatus of Chinese communism. Mao's physiognomy was propagated via billboards, posters and pamphlets throughout China as a means of stating his omnipresence as both a benevolent and fearsome leader, casting a watchful eye over his subjects. Having engineered the persecution of intellectuals and artists through the Cultural Revolution, and extinguished the potential Chinese equivalents of Marilyn Monroe and Elizabeth Taylor, Mao essentially replaced such figures and turned himself into the communist counterpart of a Pop icon. Indeed, Warhol derived his silk-screen image of Mao from an official state portrait that graced a book entitled Quotations from Chairman Mao Tse-Tung, a widely circulated reservoir of the leader's ideology. Perpetuating his silk-screening technique in Mao was ideally suited to extending the notion of the constructedness of a public image of totalitarian power. Warhol rendered the artificiality behind the image via a garish palette; color lies on the surface allowing no visual penetration and reading as flat contrasts of abstract areas that coagulate to render an immediately apprehensible symbol of stylized reductiveness. However, rather than merely revealing the manipulation behind the original image, Warhol appeared to actively undermine its imperious gravitas and masculine strength. Indeed, with luscious lips, rouged cheeks and shadowed lids, Chairman Mao appears to have been subjected to a cosmetic makeover, emasculated into looking more like a transvestite than an elder statesman. Warhol extended this parody of Mao by initiating expressive brushwork for the first time after having previously "retired" his hand from the creative process with the advent of his use of the mechanical silk-screening process in 1962. In the present work, this dramatic departure in paint handling is especially evident in the broad, loose, gestural brushstrokes of the subject's torso. Describing the formal importance of Mao, Kynaston Mcshine notes: "Especially in the large paintings of Mao, Warhol used a mop to get wide swathes of color; in the smaller works he often painted over the screened image." (K. McShine, "Introduction", Andy Warhol: A Retrospective, exh. cat., The Museum of Modern Art, New York, 1989, p. 19). Coupled with the seemingly author-less silk-screen of Mao, the subjective interjections of energetic expression add a touch of subversion in a collective regime that proscribed individual artistic creativity. 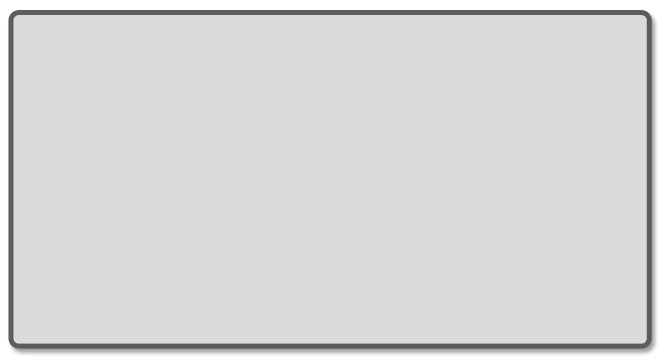 Additionally, they threaten to obliterate the image in a painterly blur that is a far cry from the black and white, tonally crisp reserve and dignity of the readymade image. Although Warhol never stated his political views and maintained his stance as a disinterested commentator of Pop culture, Mao constituted an important foray into the international political arena. While Electric Chair (1963) and Race Riots (1963) comprise his only previous politically charged subjects, they are limited to national confines. Mao constitutes Warhol's first political portrait fraught with broader Cold War tensions. The monumental scale that he adopted for Mao, evinced in the present work of which there are only ten, surpassed that of his celebrity portraits and harked back to his Self-Portraits (1967) which spanned 72" x 72" in their largest incarnation. Suggesting the leader's deification in China, Warhol captured his presiding authority over a vast nation, suggesting the Western perception of Mao as an ominous threat to democratic ideals and capitalism. However, by subjecting the official image of the Chairman to his signature style, he transformed him into an innocuous celebrity Pop star. Producing the image in different sizes and installing them on Mao wallpaper in his show at Musée Gallièra in Paris in 1974, Warhol de-fanged his subject and transformed him into an aesthetic installation. Mao comprises a number of firsts for Warhol. Its success paved the way for of a number of portraits and political subjects including heads of state such as Lenin (1986) as well as a number of communist and fascist symbols such as Hammer and Sickle (1976) and Skulls (1976). Inaugurating a new painterly expressiveness and scale that would continue through the remainder of his output, Mao is a masterpiece of great historical importance in Warhol's career. (http://www.invaluable.com/catalog/viewLot.cfm?lotCode=4O7T6FN9&lotType=artist&aID=10873).